Dynasty Grande is located in the heart of Bangkok's bustling commercial main shopping centers banks international hospitals embassies and entertainments. The hotel consists of twin 7-storey building total of 150 guestrooms. 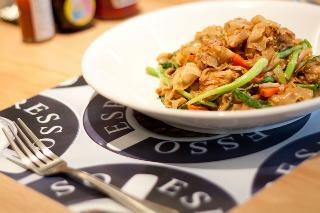 Bloom cafe' featuring Thai fusion and International cuisine along with restaurant bar. A fitness room is packed with CYBEX cardio and muscular machines. Salt-treated water system swimming pool is located in the middle of the Twin Building. The hotel is only few minutes walk to the Nana BTS Sky Train station and just one stop from the MRT Subway offering easy access to all parts of Bangkok. 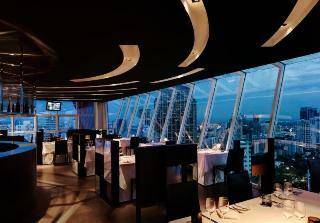 Hotel Amaze Bangkok is centrally located, providing easy access to Bangkok's many and varied attractions. 5 minutes walk from On Nut BTS station Sukhumvit line, and surrounded by shopping mall and entertainment complex. BTS Sukhumvit line is the best way for shopaholic since Bangkok's ultra modern shopping centers are located on this BTS line such as Siam Paragon, Central World, Central Embassy, Terminal 21, Em District and many more.In addition, our hotel is closed to the express way which shall save your time to anywhere in Bangkok including airports and the grand palace.Hotel Amaze Bangkok boasts 66 spacious guest rooms for the ultimate in convenience and comfort.Our core concept value is to provide best service with comfortable bed, free wifi, and complimentary meal in great location and value for money. This contemporary establishment features a convenient position in Sukhumvit Soi 12 Bangkok City, near the Asok BTS, Terminal 21 shopping mall, and Queen Sirikit Park station. Its elegant and modern but warmly decorated rooms have all the amenities to make visitors’ stay as pleasant as possible, including four different room types options for guests to choose from. 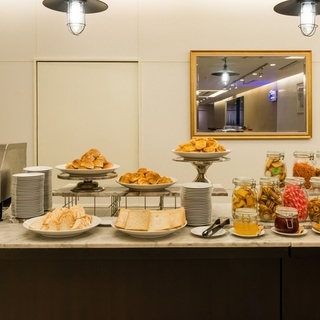 The onsite facilities include a bar&bistro which serves an international breakfast buffet as well as a local and international menu. Guests can also take advantage of the pool area, surrounded by sun loungers and umbrellas, ideal to escape from it all and unwind. The fitness centre, located on the first floors, offers high-quality facilities such as air conditioning. 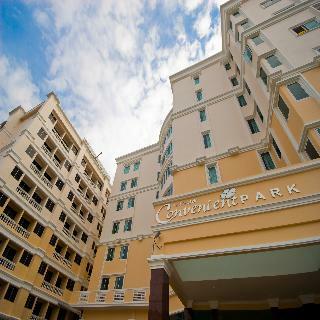 The Convenient Park Bangkok Sukhumvit is a comfortable city hotel of modern architecture situated in Sukhumvit, a vibrant area where guests will definitely find many leisure, shopping and dining options. The hotel is close to the On Nut Sky Train Station, around 10 minutes away by bus. The hotel boasts several public spaces for guests' convenience and features modern rooms with comfortable décor. Providing a warm welcome and professional hospitality, the hotel is suitable for both the business and leisure travellers. 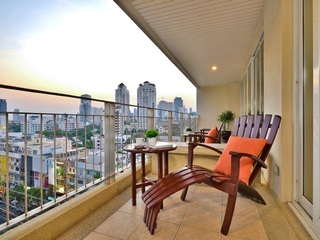 Located in Sukhumvit residential area, near On Nut Sky Train station. The hotel also offers a FREE Tuk-Tuk shuttle service daily from 8am to 6pm. Ibis Styles Bangkok Sukhumvit 50 is only a 20 minute drive to BITEC Exhibition Centre. Easy access to the international airports (Suvarnabhumi/Donmuang), Pattaya and the East coast via expressway. Easy access to city center, CBD and Shopping Hubs via the metro system. This city resort is located close to the BTS Phrakhanong Station in Bangkok, offering ease of access to other areas of this mesmerising metropolis. The resort is just a 15 minutes' drive from the BITEC Exhibition Centre and a 30 minutes' drive from Suvarnabhumi International Airport. This stunning, family-friendly resort appeals to every type of guest with its diverse range of facilities and amenities, warm hospitality and luxurious surroundings. The hotel lobby offers guests a spectacular display of elegance and sophistication blended harmoniously with natural features and elements. The captivating guest rooms exude sheer beauty and luxury, featuring neutral colours with bright splashes of colour, reflective of nature. The resort offers guests an oasis of serenity and style amidst the bustle of the city. 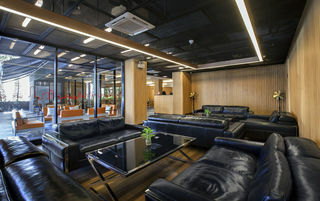 The hotel is located in one of Bangkok's prime central areas, just 5 minutes' walk from BTS (Sky train) Asoke and Phrom Phong stations and 2 km from Bangkok City Air Terminal, Makkasan Station (Airport Link). Suvarnabhumi Airport is approximately 20 km from the hotel.This city hotel, which was built in 2009, has 90 guest rooms. It combines a prime location with supreme comfort and new millennium intelligence. Designed by none other than national artist Dr. Sumet Jumsai to be chic, savvy and sensational, the hotel combines spacious duplex suites with beautiful views, all of life's not so little luxuries and seamless convenience. Guests are welcomed in a lobby with a 24-hour reception and check-out service. Facilities at the hotel include a hotel safe, a currency exchange, a cloakroom, lift access and a newspaper stand. There is a café, a bar and a restaurant on the premises. 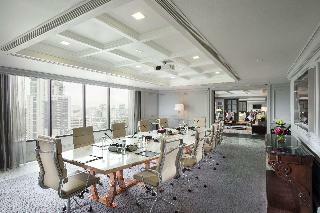 Conference facilities are available to business travellers and all guests will appreciate the WLAN Internet access. Guests can also take advantage of the hotel's room and laundry services and those arriving by car may park their vehicles in the hotel's car park.Each room has an en suite bathroom with a shower, a bath and a hairdryer. Rooms are furnished with double or king-size beds and amenities include a direct dial telephone, satellite/cable TV, a radio, a hi-fi system, Internet access and a safe. Each room has its own kitchenette complete with a minibar, a fridge, a microwave and tea and coffee making facilities. An ironing set is also provided. Air conditioning is standard in all accommodation and each room has a balcony or terrace. Overlooking the Chao-Praya River from Bangkok's Khlong Toei district, this modern city hotel provides an excellent base for business travel to Bangkok. Bangkok University campus is just a stone's throw away, and the National Science Centre for Education and the nearest BTS station are just ten minutes' walk from the hotel.The sleek and modern guest rooms exude an atmosphere of total peace and tranquillity, offering a wonderful respite from the hustle and bustle of the city. Each features regionally influenced décor, an en suite bathroom with bathrobe and slippers, and coffee and tea facilities. Wireless internet access is available for a small fee, and guests can enjoy use of the elegant outdoor pool and sundeck, tennis court, and fitness centre with Jacuzzi, steam bath and sauna, all during a pleasant stay in Bangkok. 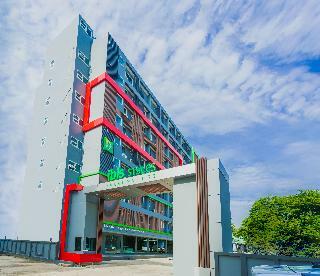 The hotel is located in Soi Thong Lo. There are 156 rooms spread over 12 floors. The hotel is air-conditioned and has a lobby, 24-hour reception, 24-hour check-in/check-out service, hotel safe, currency exchange facility, lift access, mini-supermarket, restaurant, conference facilities, Internet access, as well as room and laundry services. Parking facilities are available to guests arriving by car. All room are well - equipped for every need as a standard. The hotel provides an outdoor pool. The sauna and steam bath are available subject to fees. 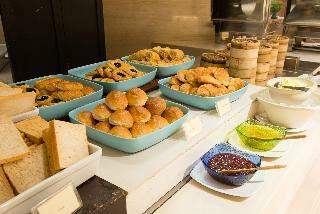 The hotel offers a breakfast buffet. Lunch and dinner are offered either as a set menu or à la carte. A modern venue which offers its visitors sophisticated 1920s Italian-American design and the perfect location for their visits to Bangkok. Located on the stylish Sukhumvit Road, it is in close proximity to the Sukhumvit's business and entertainment district. Guests who are looking for premium shopping will find the luxurious Emporium complex right next to the establishment. The nearest BTS station - Phrom Phong, is a 5-minute walk away and provides direct access to leisure and shopping attractions like Terminal 21, MBK Centre, CentralWorld, Siam Paragon and Jatuchak weekend market. On top of its elegant style the hotel provides its guests with a number of outstanding facilities. Business travellers can take advantage of the 7 unique event spaces, soak up the sunshine at the sparkling rooftop infinity pool and admire the city skyline or visit any of the 2 fine-dinning restaurants.